One thing I somehow forget at the Fest is that a lot of people see movies they’ve never seen before, and thus have no idea what’s coming. Merrily twists from a congenial screwball farce to, briefly, The Divorcee, to a brutal third act was absolutely a joy to experience with the audience. The audience hooted and gasped. My favorite moment was near the end when Sylvia Sidney, bedridden and comatose, snaps to life when Fredric March suddenly returns to her. Her eyes pop open with exhausted joy and the audience gasps. 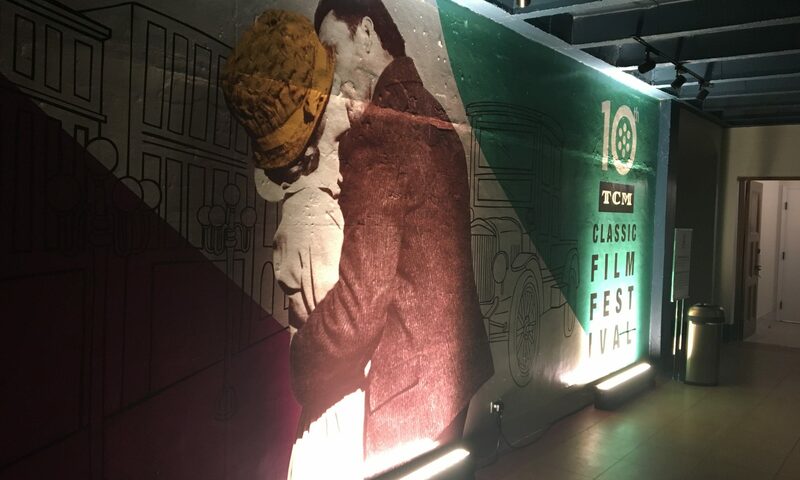 The investment that the TCMFF audiences are willing to put into the films really is what makes them such a treat. I took a break for lunch and a few errands and spent some time relaxing in Club TCM, which has gotten a complete overhaul from previous years and looks positively ethereal. One of the other fun things about the festival is just what kind of people you meet. Sitting in the Roosevelt lobby, I talked to a woman who has worked in art design in Hollywood for decades and helped design movie campaigns back in the day. She told me a few very interesting stories about working with various studios, including the imbroglio around making the posters for The Last Temptation of Christ. While waiting for Sunrise, I caught Ben Burtt and Craig Barron’s introduction to Raiders of the Lost Ark (and, honestly, I would have stuck around if I hadn’t just seen it in the theater a few years back). They showed footage explaining how they devised the film’s sound effects, such as adjoining the noise of a whip crack with the sound of a harrier jet. It was a very fun demonstration, with both men dressed in their own Indy costumes, and delighting in ribbing one another as they revisited their old work. 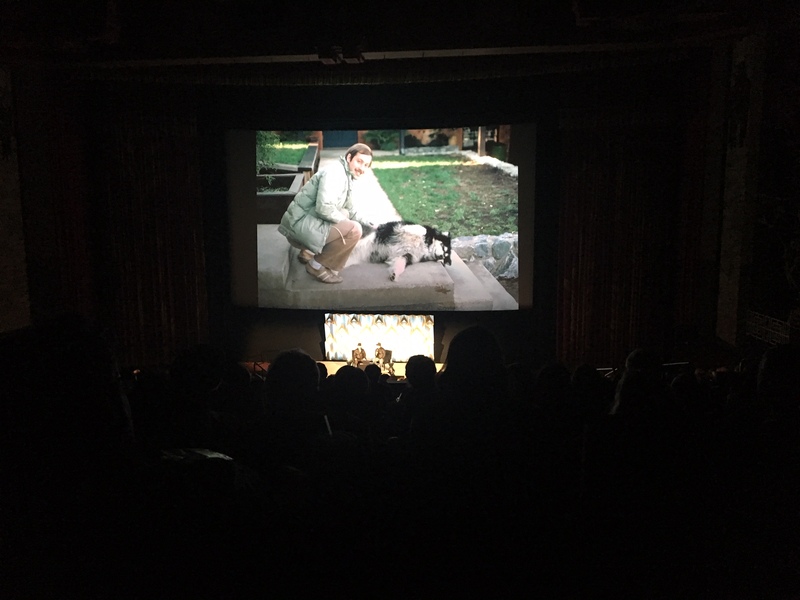 This presentation also included an adorable shot of George Lucas’ dog, Indiana. What a good boy! This… didn’t really hold up for me. 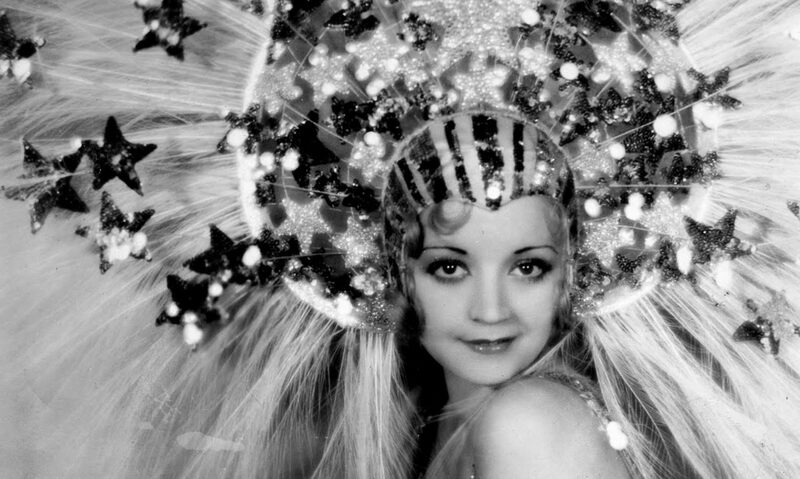 Pre-Codes are again pretty popular at TCMFF. It’s a shame these weren’t left in the Egyptian, as both Merrily and Vanity Street were sold out, with the line to get into Vanity Street being exceptionally brutal as the Multiplex staff, bless them, couldn’t quite work out how to handle the deluge of Sunrise attendees arriving after they’d already begun handing out numbers. I had a couple of friends ditch the film out of frustration. Which is too bad, since Vanity Street is a pretty cute little pre-Code with a number of risque moments, including Mayo Methot wearing a see-through gown and a construction worker growing excited as he paged through a copy of The Well of Loneliness. The movie has to make a bit of a shift from a more ‘life of the street’ comedy to a more serious melodrama in act 3 that doesn’t work completely, but I still really enjoyed it. At the insistence of my great friends Meg, Sales, and Marya, I went down to the Legion Theater, a new venue added this year. It is sublime. Like, words cannot describe. Desert Hearts was a lovely story about two women falling in love in 1959. I appreciated how, well, good it was for a 1980s film, especially in how it threw these polar opposite characters into a heated affair in a world that sneered at them. It was incredibly sweet, and I’m looking forward to picking up the Criterion edition. This movie was crazy. Is that a surprise from the description? The introduction by Viviana Garcia Besne warned us that much of this film and its sequel share footage, but she didn’t mention the film often reuses its own footage only a few minutes apart. In the film, Santo is drugged and forced under the control of one of five scientists in Havana. The film has innumerable scenes of cars driving that fade into other scenes of cars driving. It’s a deeply silly movie, and the audience, encouraged to participate, had a ton of fun with the film. That was probably the most awake I’ve been for a midnight since Herbert Marshall unpacked his flamethrower for Gog. Growing increasingly concerned that the most positive portrayal of marriage I’m going to see today at #TCMFF may have to come from SANTO VERSUS THE EVIL BRAIN. Day three sees me in line for Tarzan and His Mate two hours early! (How else do you think I have time to write this?). Follow me on Twitter for more updates, or join my Patreon to get an exclusive Tarzan and His Mate pin. Cheers!